I made a Magnet, with a three-piece leading edge, a three-piece spreader, and a two-piece spine. So all the rods are shorter than the 46.5cm upper spreader! 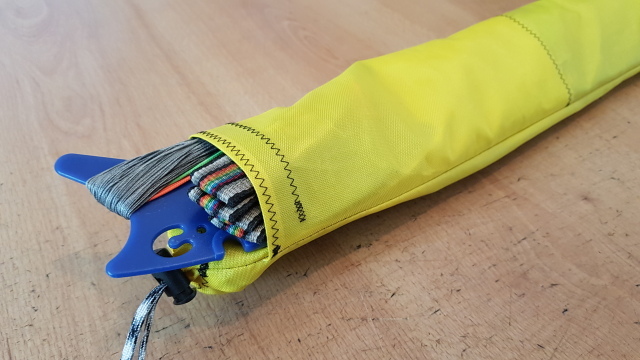 I also made a small bag, only 48cm’s, including a pocket for a lineset. 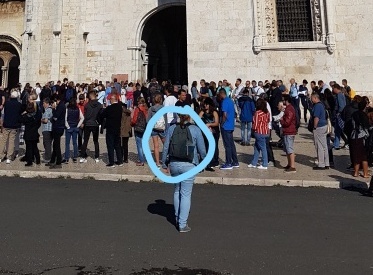 In the last picture you can see my wife with a normal backpack on our citytrip to Lisboa, Portugal. We took the kite the whole three days just with us in the backpack. 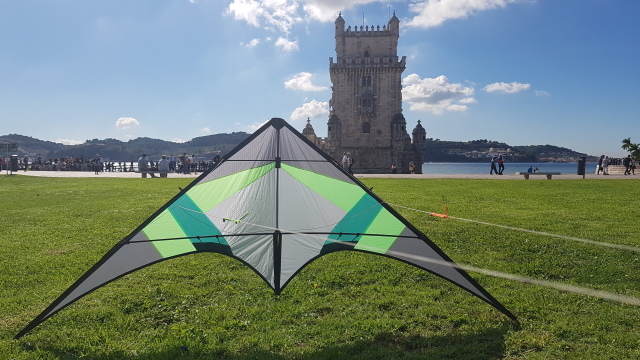 On the last day we found a nice flying field next to the famous Torre de Belém. Very bad winds, but I had a short maiden-flight. I felt nothing different compared to a normal Magnet. There are some ferrules extra, and the three-piece spreader is a lot stiffer, because the 5PT has more cut-off from the thin side. If you want to do something like this, do some good planning. Or contact me. Or do both. You don’t want to cut a rod at 46cm and then glue a ferrule in it! Haha. Also for the centrecross you’ll need some good thinking. 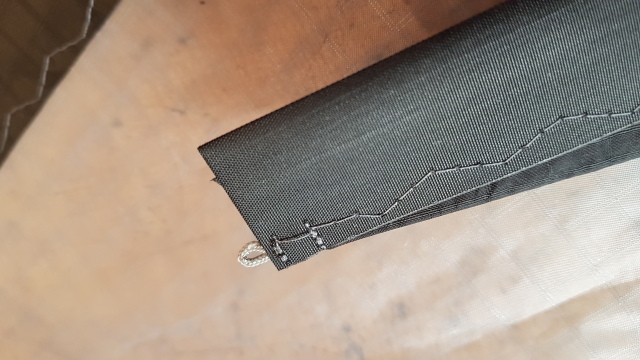 I used a knotted centre-t, but then, the cut-out for the centre-t has to be a lot bigger, because you need the space to disconnect the spine. 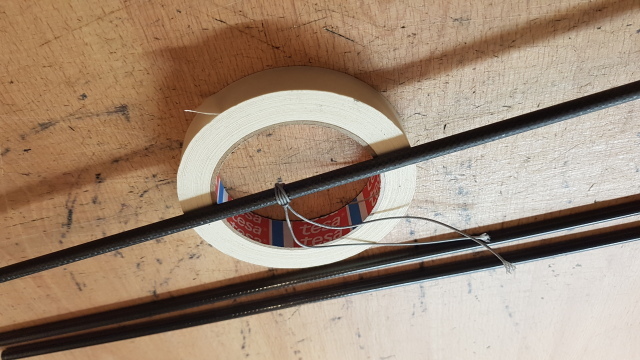 And for easy packing and building it up, I made a smart solution for the leechline and the tensioning of the leading edge. I only need two minutes more compare to a long-packed kite. The sail for a Magnet micro-pack can be just an ordinary Magnet-sail. Because the centrecross will be a tied one with bridleline, the hole for the centrepiece has to be a bit longer to the tail. Otherwise you can not take the spine apart in two pieces once framed. The hole has to be as long as half the ferrule. Also, for the leechline I prefer a simple solution. Because the kite will be folded down each time, I didn’t want any hassle with the leechline at the tip of the kite. 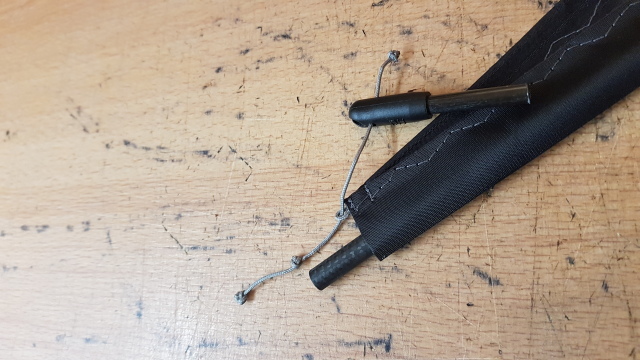 I make a leechline from normal bridle line (one piece from tip to tip, but not necessary), at the tips I make a overhand knot and sew the loop to the end of the trailing edge with a three-step-zigzag with the transport on 0. I will tension the leading edge later using this loop. I have to sew the leading edge and nose of this kite, and then I will take you through the framing proces and all the measurements. This is in two pieces, both P2X (or P200). 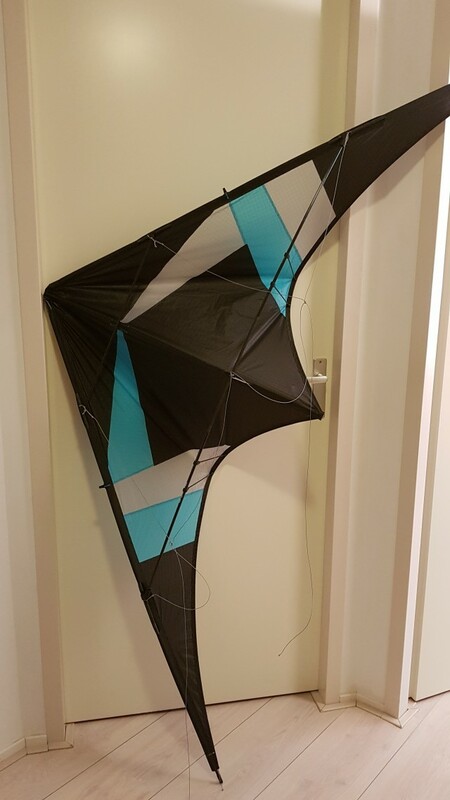 Upper part is 46cm, lower part is fitted into the kite (bit shorter). Don’t forget a weight. I used a hollow ferrule here. Three pieces, all P2X. Upper and lower are 46cm. 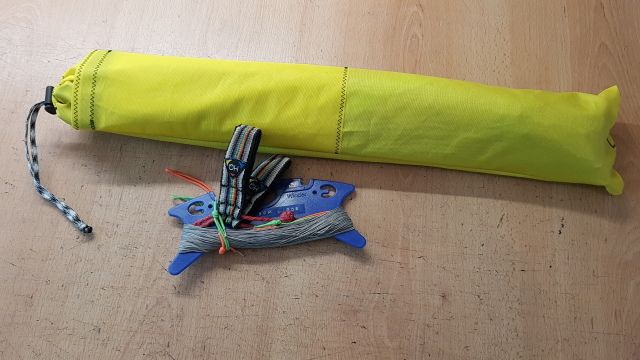 Middle part is fitted into the kite (about 46cm including the ferrules). Hollow ferrules again. You can frame the kite like a normal one. Also just glue stoppers next to the Apa’s. This will not be a problem when folding the leading edge in three pieces. At the tip: I use a HQ-splitnock with a small piece of 6mm tube. The bridleline will go into the split with a (big) knot. Also, make sure the line is a bit too long and tie another knot at the end, this will make it very easy to loosen everything. 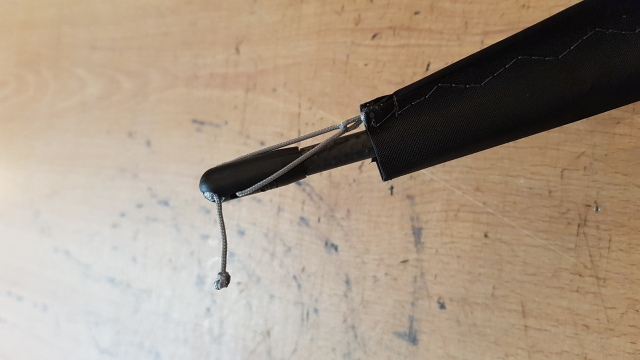 Just grab the knot and pull it out of the splitnock. Three pieces, P2X in the middle, 5Pt at both ends. Watch out, the spreader of a Magnet is 62cm, but the three pieces in total have to be longer than 144cm! The centre cross fitting is 1.5cm wide, so the three rods will have to make 145.5cm. 5PT will be both 47cm, and the middle part 31.5cm. I’ve used solid ferrules here (glue them in the middle part!). The last steps are not difficult: standoffs, upperspreader, bridle. 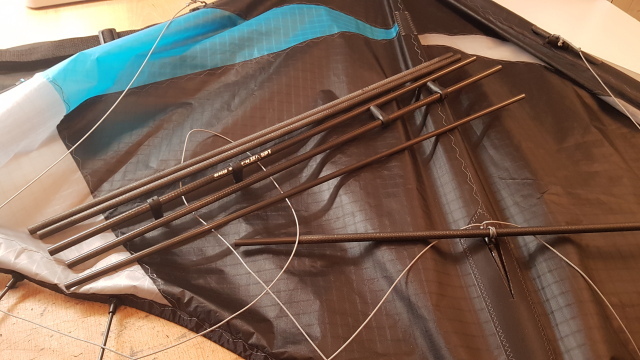 Nothing special here.When packing the kite, these rods have to come out: upperspreader, lower leading edges, two outer spreaders. The middle leading edges now fold over the upper leading edges. The middle spreader rotates to a vertical position and the spine will disconnect (you need the long cut-out here) and fold upwards. The package is now below the 50cm.